Macro lenses are great for capturing very small objects, but their power comes at the cost of a very much reduced depth of field. This can be remedied with a technique called ‘Focus Stacking’ – specialised software assembled multiple pictures with different focal points, giving one full-focus photo. 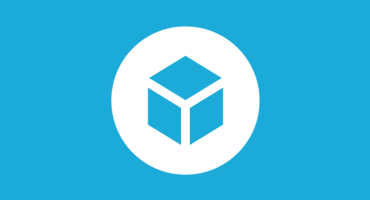 Sketchfab Member Stuart Hogton published the following extensive guide on his blog (you can find the original here) and we republish it here with his permission. 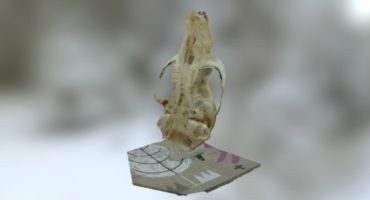 There are a few free photogrammetry programs out there (VisualSFM + Meshlab, Autodesk 123D Catch). However, none come close to Agisoft Photoscan. It really is the best and most easy to use for the price. It has a 30 day trial and currently costs – £144 at Brexit exchange prices. They have a great tutorial on the workflow on their site. i would like to suggest to trow in a focus rail. It’s just few bucks but it’s very helpfull in making the process quicker and more precise. On the other end for the best stacking result i found that a bellow with a operable rear standard work even better. Good idea Raffaele. A focus rail would be an ideal next step in the long list of equipment upgrades. There are some amazing automated systems out there too from Cognisys, the StackShot rail and turntable package would be an ideal solution to aim for. I would strongly advise against using a focus rail for photogrammetry purposes. For example, when the camera is physically moving toward and away from the object, each shot is perceiving the object from different perspectives AND the lens used is of an “entocentric” nature, the combination of which is a hell of a task for the software to try to stitch together to produce something that looks half decent and is heavily distorted. If you really have to use a focusing rail whether manual or automatic like the stackshot rail, I would advice in constructing a telecentric lens. Otherwise just using Helicon Remote and Focus will do the job with lens focus. You also could however take the stackshot 3x pan/tilt package with an additional stepper motor (no rail needed) and make up a geared ring for your lens and gear for the extra stepper motor and instead of using the focus step signals that would be used for the rail, they will be controlling the steps to focus your lens. This can also be automated. Fascinating. I especially like the low-budget DIY tips that will help us do our own projects. For even lighting on a tabletop shoot, you might consider a pair or trio of inexpensive reading lamps, the kind that resemble the Pixar Lux (Luxor?) lamp, with identical-spec LED bulbs. Those stay cool enough that you can improvise a light diffuser with paper or a sheet of frosted plastic. I’ve done product photography in the home setting using an inexpensive lightbox made of some kind of plastic fabric stretched over a wire frame. Since you’re moving the object on a turntable, not the camera, a lightbox might be helpful regardless of what kinds of lights you’ll use. I haven’t tried actual macrophotography this way, though, and I suppose the camera still needs the ring flash or some kind of LED ring because it’ll cast its own shadows on your object. I’m crazy for LED lights these days because they last long and don’t get nearly as hot as other lights. You’re right about LED panels and softbox, they would be a great way to control lighting either side and fill the scene. The ring flash certainly helps fill light at the front. As you said, the camera gets in the way of itself at this range. Thanks for the article. Good to see people experimenting with SfM to model small items. We have just started trialing this approach also with small artefacts and the results have been very promising. We have uploaded our first macro stacked sfm model on sketchfab of a Viking borach which measures around 4cm X 3 cm and we hopefully have managed to capture all of the geometry of the object. We have been using a Cognisys rail system to carry out the work with a Canon 5D MkII and 100mm sigma Macro lens. That sounds like a great setup! I’m glad it’s working out for you, the brooch looks nice and detailed. I’m pleased the Cognisys rail and turntable is working for you, it’s on my list (long list) of things to buy to improve my own system. The last link in my article makes good use of it along with a gigapan to automate axis rotations. Keep us posted with you results! Thank you very much for writing this guide. Did you take more photos beyond those that appear in the video of the focus stacked set? I’m asking because the back of the skull is almost fully visible in the 3D model. I am actually starting a research project at a mammalogy collection and thanks to your guide I’m now committed to try and create 3D models for a few other rodent species. I’m already excited! Thanks for this! It’ll help me a lot. Roadeavour!